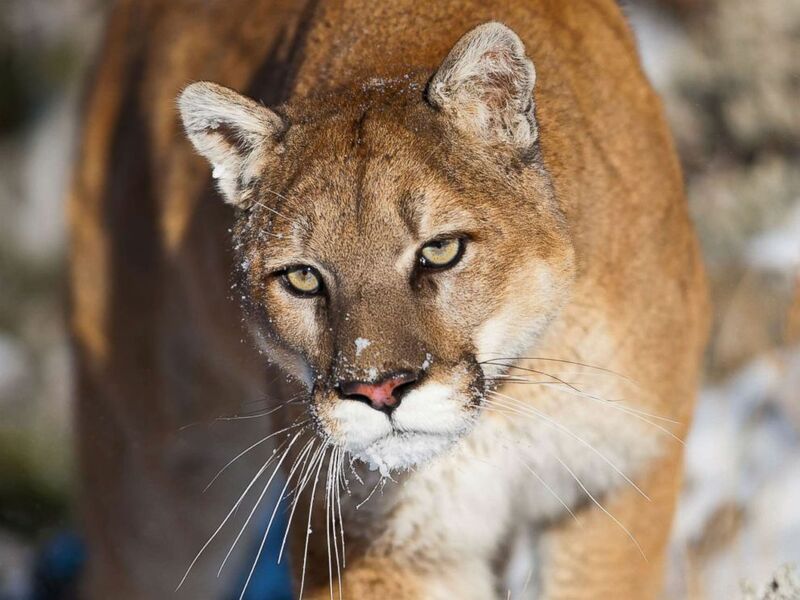 A runner killed a mountain lion "in self-defense" after the animal attacked him along a trail in northern Colorado Monday afternoon, authorities said. The unnamed man heard something behind him on the West Ridge Trail at Horsetooth Mountain Open Space in Fort Collins and was attacked as he turned around. The mountain lion lunged at him, biting his face and wrist, according to a press release from Colorado Parks and Wildlife. The runner broke free from the cougar's powerful maw and defended himself, killing the wild cat as a result. The man was then able to get himself to a local hospital, where he was treated for serious but non-life-threatening injuries. "The runner did everything he could to save his life," Mark Leslie, Colorado Parks and Wildlife's northeast regional manager, said in a statement Monday afternoon. "In the event of a lion attack you need to do anything in your power to fight back just as this gentleman did." A Colorado Parks and Wildlife spokesman told ABC News the man is "doing well considering his ordeal." A cougar is pictured in this undated stock photo. Wildlife officials later located the body of a "juvenile mountain lion" on the trail near several of the runner's possessions. The animal, estimated to be less than a year old, was taken to a lab for a necropsy. It tested negative for rabies, authorities said. After further investigation, including an examination of the cougar, wildlife officials determined that the man was able to suffocate the animal while defending himself. 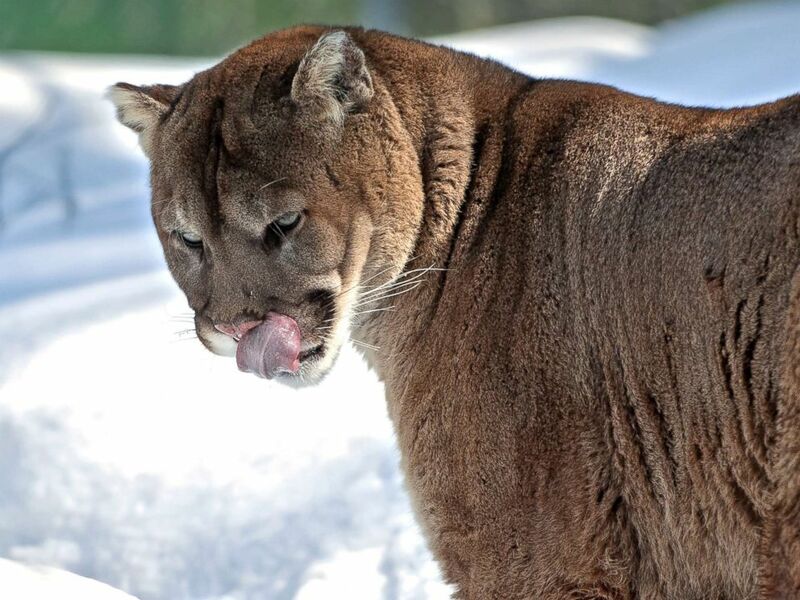 "Mountain lion attacks are not common in Colorado and it is unfortunate that the lion’s hunting instincts were triggered by the runner,” Ty Petersburg, area wildlife manager for Colorado Parks and Wildlife, said in a statement Monday afternoon. "This could have had a very different outcome." Horsetooth Mountain Open Space closed its running trails in the wake of Monday's attack. The trails reopened Monday evening, but Larimer County rangers shuttered them again Tuesday afternoon. "We want to allow for a cooling off period before reopening Horsetooth Mountain Open Space," Ken Brink Jr., manager for Larimer County's Department of Natural Resources, said in a statement Tuesday. "We are approaching this situation with an abundance of caution for the safety of our visitors." "We'll reopen Horsetooth Mountain when we've had more time to assess mountain lion activity in the area with our partners at CPW," Brink added. Larimer County rangers are planning to reassess the situation on Friday. Fewer than 20 people have died from cougar attacks in North America in more than 100 years. There have been less than 20 mountain lion-related injuries in Colorado since 1990, according to the press release from Colorado Parks and Wildlife. Mountain lions are quiet, solitary, elusive predators that typically avoid humans, but authorities said it's important to remain alert if you're in an area where they live. "People should remember that they are recreating in lion habitat when they visit Horsetooth Mountain Open Space," Steve Gibson, district manager for Larimer County's Department of Natural Resources, said in a statement Tuesday. A mountain lion is pictured in Northern Ontario, Canada. -- Do not approach a lion, especially one that is feeding or with kittens. Most mountain lions will try to avoid a confrontation. Give them a way to escape. -- If the lion behaves aggressively, throw stones, branches or whatever you can get your hands on without crouching down or turning your back. Wave your arms slowly and speak firmly. What you want to do is convince the lion you are not prey and that you may in fact be a danger to the lion. ABC News' Karma Allen, Becky Perlow, Clayton Sandell and Jim Vojtech contributed to this report.